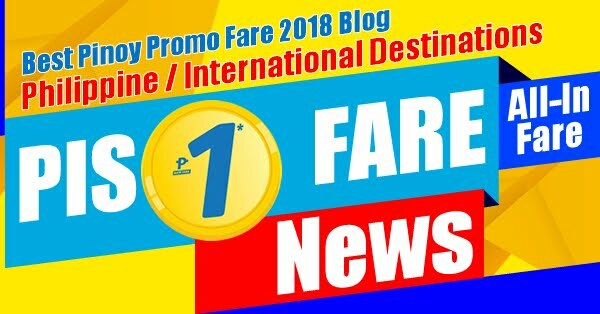 Pinoy Air Traveler is a blog dedicated in featuring promo deals and cheap air tickets offered by various airline companies. Pati sa Pag-Book Dapat Sama-sama! Go on more CEBTravels with this seat sale! Book now until September 24, 2016! Get this amazing Tara, Bookada Na! Pati sa Pag-Book Dapat Sama-sama! Achieve ang squad goals with the new seat sale! Book now until Sep 28, 2016! For as low as P999. 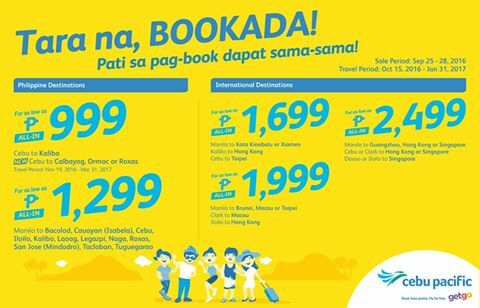 You can buy this promo up to September 28, 2016 or until seats last and travel period on October 15, 2016 to January 31, 2017. Sale period: September 28, 2016 or until seats last.